Wrist fractures are common injuries affecting people of all ages. 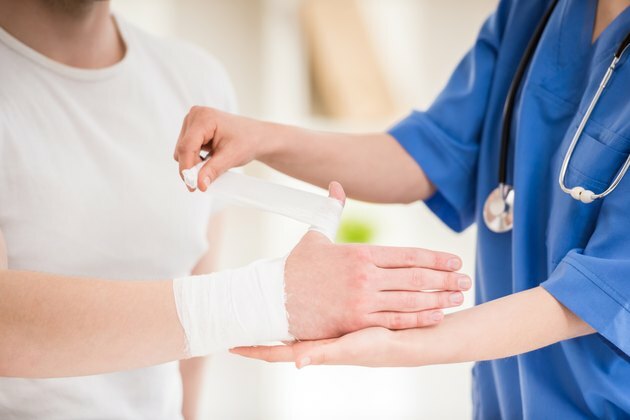 These injuries often occur from a fall on an outstretched arm or sports-related accident. Wrist fractures are sometimes obvious -- but not always. Common signs and symptoms to look for include swelling, joint deformity and pain. Numbness and tingling in your fingers or hand may also be a tip-off. 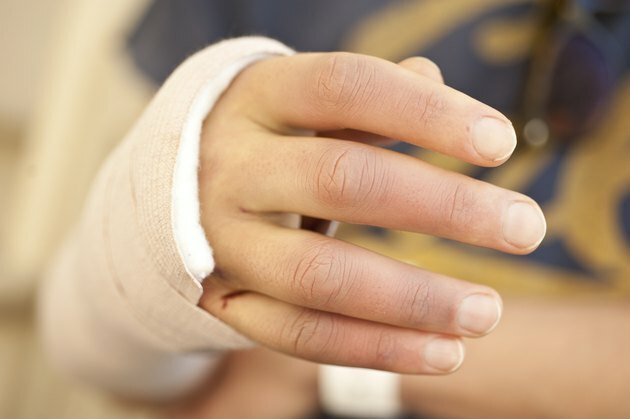 Swelling typically occurs immediately after wrist fracture and may worsen over a few days. It usually decreases with time but may take several months to resolve completely. Redness and bruising may also develop. Swelling in your wrist and fingers may cause stiffness, limiting your wrist movement and your grip strength. A broken wrist may cause your wrist to appear deformed as well. You may notice a large bump on the back of your wrist, or your hand may be tilted to the side. Wrist fractures usually cause sharp pain at the time of the injury that may worsen when you try to move your wrist or fingers. Pain typically decrease within a few days, though you will likely have intermittent pain for several months as your wrist heals. Nerves traveling through your wrist can be damaged due to trauma or compression as your wrist swells. Damage to the nerve in the middle of your wrist may cause numbness and tingling in your thumb and all fingers except your pinky. Damage to the nerve on the pinky side of your wrist causes these symptoms in the outer half of the ring finger and the pinky. Seek immediate medical attention if you suspect you have a wrist fracture. In severe cases, surgery may be required.